Poetry can be a concise, precise way of incising a kernel of truth. The essence of poetry is available in song, in puns and jokes, and even in the humor of the rooms of recovery. Poetry can be the rhythm of speech or the twist of a phrase that allows us to see something in a new way. Poetry can be the juxtaposition; the contrast and comparison of seemingly dissonant thoughts. “Surrender To Win” is the most prevalent, but even the subtle challenges of doing footwork while letting go, excavating the unlovely as we do the fourth step in order to find the diamond within, accepting powerlessness while finding our strengths. 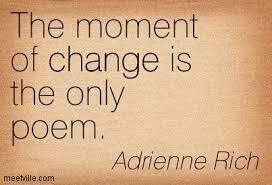 Ultimately poetry can give us a new perspective; challenging who we think we are and inviting us to transform. Listen to the poetry of YOUR life – and dance to the music of change. BE THE POEM!!! Kyczy has been teaching recovery focused yoga classes since 2008. Taking the foundation of a traditional yoga training she received from the Lotus Yoga Teacher Association (of the Himalayan Yoga Institute), she has combined the wisdom and inspiration from other teachers along the way. A leader of Y12SR (Yoga of 12 Step Recovery) classes for nearly five years and a devoted teacher to people in treatment centers and in jail. Kyczy created a teacher training program for others who wish to work in this field.